Manager Mark Warburton says Nottingham Forest must be patient with their young players as they secured a third win in eight by beating Burton on Saturday. The Reds were booed by a section of the crowd following a goalless first half, but second-half goals from Barrie McKay and Eric Lichaj secured the win. 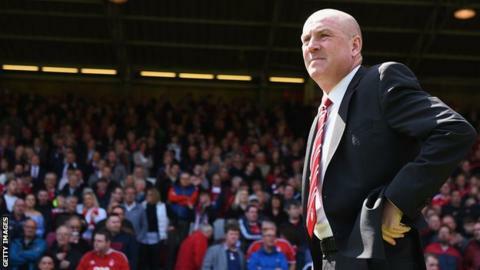 Warburton told BBC Radio Nottingham: "Young players need time but they will make mistakes. "It is how you deal with mistakes and you need your boss to be patient." The Reds enjoyed a good start to the season and won three of their first four matches, but have struggled for consistency since. Saturday's win over Burton moved them up to 12th in the Championship, three points adrift of the play-offs. Warburton continued: "We are asking the players to be brave, not reckless, but at the same time deal with the expectations, quite rightly, of a fee-paying support base. "We have to try and get that balance right, but all credit to the players they are working hard. It will come and it will keep getting better."